Giving birth in China: next level hospitals and bizarre post-birth traditions. As told to Nicole Webb of Mint Mocha Musings. Standing in the busy hospital, bustling with about 100 other pregnant women, my husband and I were lost in the madness. I have lived in China my whole life, but my Dutch-born husband was stunned. We were in one of the biggest and best women and children’s hospital in the country but it was totally overwhelming and knowing where to go was impossible. I’d only just found out I was pregnant for the second time. And of course, as with everything in China, a lot of things have rapidly moved on since my first pregnancy five years ago. But one thing that definitely hasn’t changed is the chaos. With a population of 1.4 billion and the relaxing of the one child policy, China’s hospitals are only getting more and more crowded. Guest relations are a last resort, the priority is getting through the bevy of patients in need. We rode the elevator, squashed in with a dozen other women and their partners. The doors opened and my eyes bulged — there before me were two giant halls – overflowing with no less than 300 people. There was a long queue winding out of the hall and down the corridor with women lining up to pay for a heart-beat monitor, another shorter queue with women waiting on two blood-pressure machines, and the rest of the space was filled with pregnant women, their mums, husbands and probably mother-in-laws. It was utter bedlam. I tried to gently push through the crowds to get to the counter. Anxious and uncertain, I quietly stammered to the older nurse, “What shall I do when I find out I am pregnant?” She looked at me like I’d asked the silliest question and perhaps I had. She gruffly interrupted with a quick gesture to say, read the procedure on the wall, “You have eyes and are literate right? !” she chided. Side note: Doctors and nurses in public hospitals in China aren’t known for their bedside manner. I struggled my way through the people leaning against the wall and read that I would need a hospital card with my name on it and enough money deposited on it to move forward in this pregnancy game. Giving birth in a Chinese hospital was "utter bedlam," says Chao. Image: Supplied. 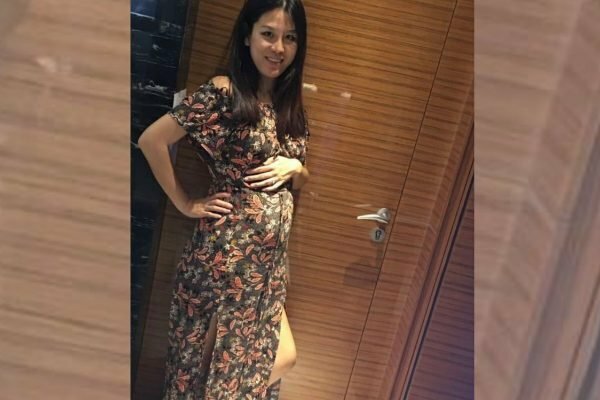 The security guards were chasing away any male who was standing in the hall that looked out of place, even though they were the equally nervous fathers-to-be. The nurses were frantically writing down blood pressure figures, and while it seemed like everyone else was sitting quietly, the noise was unbearable. And that was my first visit to an obstetrician/gynaecologist. There are few general practitioners and almost everything medical is done in one of China’s mammoth hospitals. Of course, to my dismay, I had to go back again, especially as it has the best doctors in the province and everyone, including me, is desperate for the very best treatment. In second or third tier cities, like Xi’an, despite having a population of nine million, private hospitals with good service don’t attract the top doctors and they lack first class medical equipment. Don’t eat crabs! This can cause a difficult labour and the baby could be born sideways. Like a crab, right! Eating light-coloured food will make your baby fair-skinned, while soy sauce and coffee will ruin the baby’s skin, making them dark, and in China, the fairer the better. Eating a lot of black sesame will make the baby’s hair glossy and shiny like black satin. No eating rabbit meat, as this could cause cleft palate which is quite a big problem in China and sadly, many parents can’t afford to fix, resulting in a huge number of orphans. You should look at pictures of cute babies constantly, that will make your future baby beautiful. Food that is too cold should be avoided as nobody wants a miscarriage or diarrhoea. And when I was pregnant five years ago, we were all advised to wear an ‘anti-radiation vest&apos; when sitting in front of a computer or talking on the phone, to block out the radiation. When my obstetrician suggested I wear one for the whole pregnancy, I did. But in hindsight, I shouldn’t have, as the thing was thick and heavy and you were not allowed to wash it. I had to wear it for nine long months. So, not surprisingly, China is possibly one of the few places where airport security is willing to shut the radiation screening on the security check for a pregnant woman and agree to check by hand. I know, generally speaking, pregnancy is not easy, the world over. But in China where it’s steeped in tradition, superstition and the (often over bearing but well meaning) advice of elders/friends/or even doctors, it goes to the next level. And the intensity only continues during postpartum, especially during those crucial first few months. Called &apos;Zuo Yuezi&apos;, commonly practiced in urban and rural China, means the new mums must behave according to traditional beliefs and practices. It’s believed this will help the new mum regain her strength and protect her health for the future. It includes avoiding cold or salted food and staying inside the house with the doors and windows closed so no wind blows through. It is thought the wind will blow into the bones of the new mum and cause arthritis and joint pain. New mums are also told to avoid housework and limit visitors. And because the body structure has changed during pregnancy and labour, Chinese believe women should lie in bed before all the organs in the body move out of position. And there&apos;s definitely no showering or brushing your teeth for this month. I was thinking these old traditions had died down a little, but recently the fairly modern-looking lady next door told me she didn’t get out of her bed unless it was absolutely necessary after giving birth. My eyes widened when she told me she did NOT brush her teeth for a month. Of course, these old traditions are wise customs from the past, and I do believe, that to some degree, women need enough rest and nutrition after such a major change in their body. In the past (as little as three decades ago), women were better off following these rules because there was no hot water or heating. A lot of women were doing hard labour work and were malnourished. But with all the amenities and convenience we have now, surely it needs updating? And I am not the only one to say that. This age old tradition is bringing new business and &apos;YueZi Zhong Xin&apos; is one. Postpartum care centres for new mums in that first month are springing up all over the place. Charging from 10,000 RMB (about AUD$2,250) to 200,000 RMB (AUD$42,140) or even more depending on how luxurious it is, they provide in-room dining up to six times a day, help with breastfeeding and breast massaging. They also have nurses on hand to check body measurements. New mums can just rest in their hotel-like bedrooms until care givers bring your baby for feeding. 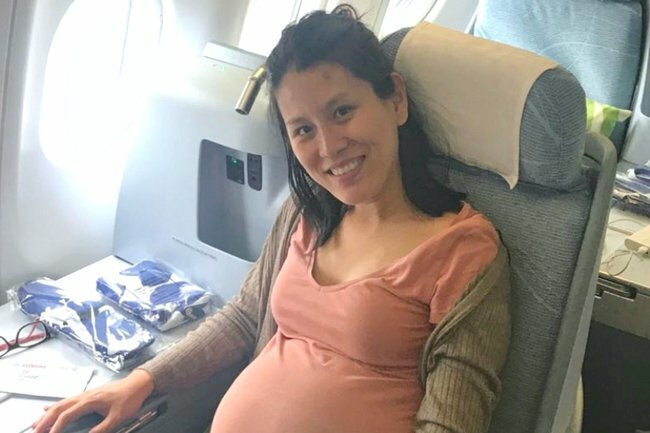 And now with more migrants and more rich mums trying to deliver babies in developed countries to get their children a &apos;better&apos; passport, there are more postpartum centres thriving in the popular Chinese residing cities like Los Angeles and Toronto. In China, we like to quote Hegel’s saying, “What is rational is actual and what is actual is rational.” We use this saying to explain that everything exists for a reason and as a result, these deep-rooted traditions won’t die down in the foreseeable future. After all, everything has its reason. This is China. Did you give birth in another country? What are you experience like? Tell us about it in the comments section below. Nicole, a journalist and former News Reader with Sky News Australia, has recently repatriated to Sydney after seven years living overseas in Hong Kong and Mainland China. 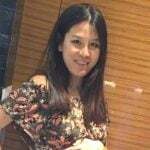 She now works as a freelancer across Asia Pacific in all things media related and blogs at Mint Mocha Musings: The Hotelier&apos;s Wife, an Expat Affair Around the Globe.